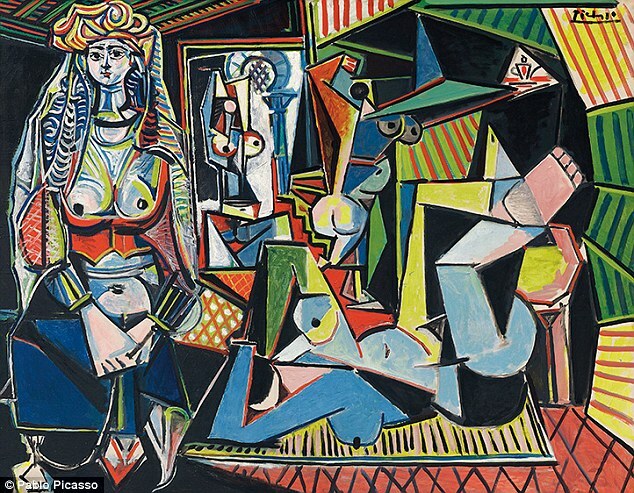 In 2015, a Picasso painting sold for a record $179 million. It was painted in 1955 and titled “Les femmes d’Alger” and was a tribute to friend and rival painter Henri Matisse. Compared to that, the auction of Picasso’s last home should be a breeze where bidding will start at € 20.2 million tomorrow at Residence365.com, a Christies affiliate. Coming full circle, Les femmes d’Alger was also sold by Christies. The home, known locally as Mas de Notre Dame de Vie was the artist’s home from 1961 until his death at 93 in 1973. It’s located in the hills about four miles north of Cannes, France. When Picasso purchased the home it already had 24 rooms. His first addition was a studio space with its own terrace. Over the ensuing years, the home grew several more times. The main house encompasses 13,000 square feet with five bedrooms and nine full and one half baths … oh, and two kitchens. A guest house and gatekeeper’s cottage clock in at another 4,000 square feet. Not to worry, the home sits on eight acres spread across a hillside offering mind-boggling views over Cannes and the sea. After Picasso’s death, his wife lived in the home until her death in 1986, moving nothing since her husband’s death. After the hundreds of millions of dollars in artwork was distributed to heirs and beneficiaries, the home then stood empty for 30 years. The current owner took on the two year task of renovating and restoring the derelict property. The goal was to restore the home to Picasso’s time, including restoring the gardens to the era. But in addition, the home wasn’t to be a museum, but a home for the 21st century with all the modcons. So there’s A/C, an elevator, 5,000-bottle wine cellar, thermal pane windows, etc. The list was endless. Obviously, this is a billionaire’s flip where only the best was considered. The main living area, the “Grand Salon,” is at once peaceful, rustic and luxurious in simplicity. It’s a space where gold, intricate furnishings and carpets would be out of place. One imagines the conversations that took place seated around the fire. One of the two kitchens, this one adjoins the “Orangerie” and “Grand Salon” on the garden level. Clearly built with large groups in mind, the range alone might have cost $75,000. The kitchen opens to a large terrace covered with a pergola. In the warm summer evenings on the Côte d’Azur, opening the home up to the breezes is the only way to live. A view looking back at the kitchen across the garden walk and reflecting pond. On a hillside lot, I don’t think it’s possible to stand anywhere and not me captivated by the view. If this were a hotel, I would definitely mortgage my soul for a weekend. On those mornings when the day called, starting off with a leisurely swim wouldn’t be half bad. Ditto the summer parties with the art world’s cognoscenti milling around talking of modern masters and young Turks. Those precious few being invited into Picasso’s atelier to see his latest work. Even in his later years, Picasso painted up a storm. Some have compared this to other painters who, nearing the end of their lives, seemed hell bent on getting as much of their creativity onto the canvas as they could. The guesthouse fits perfectly with the mental and physical landscape. Everything seems to have been here for centuries and yet it hasn’t. Much of the home was only built during Picasso’s time making it barely 50 years old. That’s the thing with a great build or renovation, it only reveals the age you believe it to be. While the auction is tomorrow, I suspect most of us just appreciate this home in a way our pocketbooks would never allow.